Major League Wrestling and Ananey Communications are excited to announce a partnership to bring MLW’s flagship weekly series MLW: FUSION to Israel on Ego Total. “As the home of professional Wrestling in Israel for the past decade, we are proud to add MLW to our broadcast roster and looking forward to a great partnership,” said Adi kfir Ego Total Vice President. The first episode will air on Ego TV in Israel on Tuesday at 6:10 PM local Israeli time. 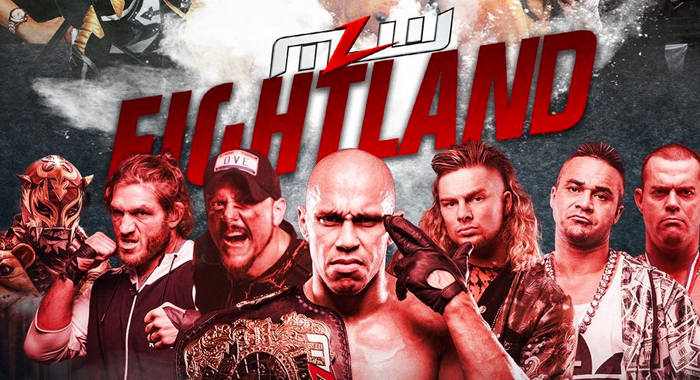 Major League Wrestling (MLW®) is a sports media holding company with a focus on professional wrestling sporting events/programming, digital content and ancillary entertainment. The fastest growing wrestling league today, MLW’s weekly TV series, Major League Wrestling: FUSION, airs Friday nights 8pm ET / 5pm PT on beIN SPORTS (with replays at 11pm ET) in the United States, Canada and Puerto Rico and Tuesday nights at 6:10pm on Ego Total in Israel. MLW features a roster full of high profile fighters and on-air talent from around the world including: Tony Schiavone, the Hart Foundation, “Filthy” Tom Lawlor, Low Ki, LA Park, Pentagon Jr., Rey Fenix, Tommy Dreamer, Salina de la Renta, Kotto Brazil, Ace Romero, Konnan, Colonel Robert Parker and many more. Ego Total Channel – The fighting channel of Israel. Broadcasting fighting content for over a decade which includes Professional Wrestling, MMA and more. Ananey Communications – Founded by Udi Miron in 1996. Is the leading multi-channel TV firm in Israel. With several original lifestyle TV channels and exclusive representation of the Viacom brands in Israel (including MTV, Comedy Central, Nickelodeon & Nick Jr), Ananey channels reach a total of 76% of all Israeli households. Ananey’s content distribution also spreads through leading Israeli digital platforms, terrestrial channels, airlines and more.